Education & careers in India: Education & careers needs in India as a bridge between students and potential employers by offering: resume and cover letter assistance, job search workshops and guidance, interview coaching and advice, opportunities to connect and interview with employers. When researching a career, take note of its requirements. They will tell you what degree, coursework or training you will need to get an entry-level job. It is important to have this information because it will help you decide if you should consider that particular occupation. Some people may decide they are unable or unwilling to get the required education or training in India and will therefore look at other options. 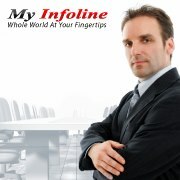 Myinfoline is a largest education & career business directory in India offering search of engineering in India, b-schools in India, universities in India, distance learning institutions in India, corporate computer training in India, coaching & tuition centers in India, distance education centres in India, job training centres in India, driving schools in India, dance classes in India, playschools in India, book shops in India, bse schools in India, .net training in India, java j2ee training in India, sap erp training in India, overseas education consultants in India, spoken english classes in India, and embedded systems training in India. Find a. How to have a successful career in India? B. Want to quit your job in India? C. How to explore your career options in India? D. What are soft skills in India? Find education & careers centers in India phone numbers, addresses, map, email id, my offers, see ratings & reviews of education & careers centers in India, for best search of legal education & careers centers in India. Submit your details and get Best price quotes and deals instantly!